While you may think your lawn is in great shape, you may also see that there is room for improvement when it comes to your grass. Walk around your neighborhood and you will likely see several lawns that you are envious of. Wouldn’t you like to have one of the lawns that your neighbors covet? We thought so. In order to get the very best out of your yard, you are going to have to practice seeding and re-seeding in the coming months. Fall lawn care is a secret that most people do not know about. It’s the secret that will render you the lawn that you so desperately want. Below you can discover some tips and helpful information regarding how to seed and re-seed this autumn. Many people are curious why their lawn is not growing when the PH level of their soil is 5. Unfortunately, your soil is very specific when it comes to the state it has to be in to grow new grass. In order to get the results you want, you will need your soil’s PH level to be in between 5.5 and 7. 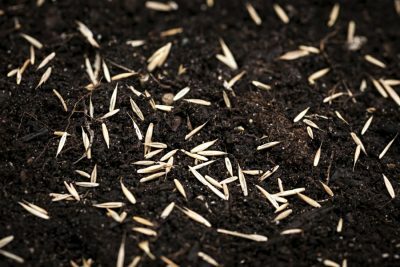 Another situation many people find themselves in is experiencing a lack of results after putting down a new layer of topsoil in which they put down their new seeds. While this may seem like a good idea, you will not like what happens in the long term. Once the grass roots travel to the old soil beneath the new topsoil, it will no longer be healthy. To ensure your grass maintains its health, you will need to mix your old soil and your new topsoil. Our first guess as to why your seeding or re-seeding may not have worked in the past is that you were completing this process during the wrong season. As we mentioned before, fall is absolutely the best time of year to seed your lawn. You may also just be going about the process all wrong. 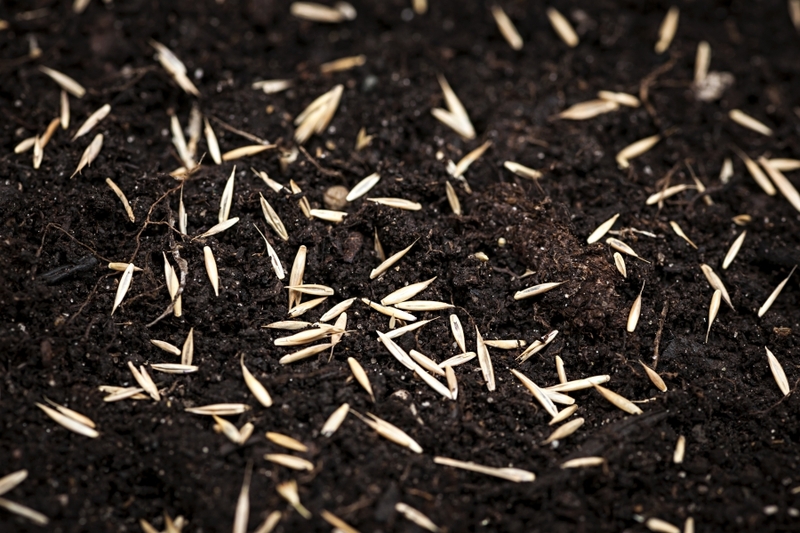 Make sure you rake the soil vigorously or rent a seeding machine to save yourself some energy. Put down the seed and then lightly rake over the seeds and water lightly for five to ten minutes up to three times a day for the first month or until you begin to see signs of growth. At this point, you can begin a normal watering schedule until the weather becomes too cold. To ensure that you get the very most out of your seeding efforts, we would suggest having a sprinkler system installed in your home before it gets cold outside. Call the professionals at A&C Sprinkler today! We can help you get the lawn you have always wanted!